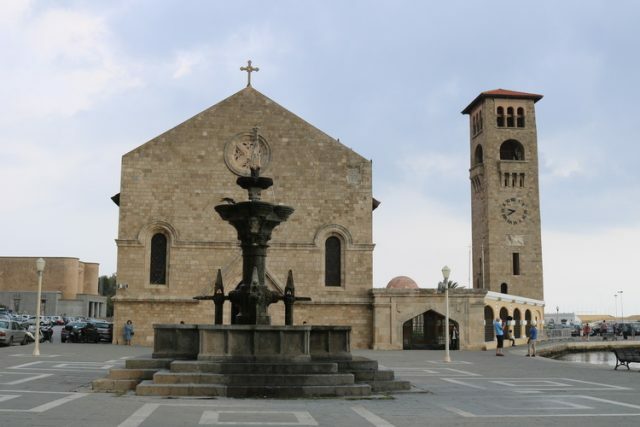 Must-see attractions in Rhodes include the Palace of the Grand Master & Archaeological Museum. 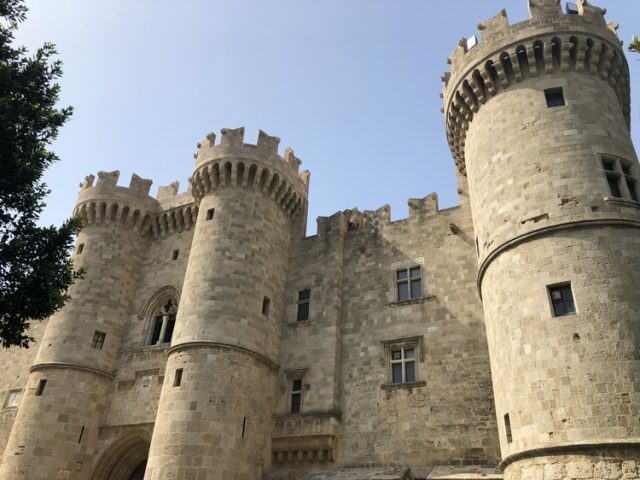 In part 1 of our series on the Greek isle of Rhodes, I offered a brief overview of what it's like to meander through Old Town, a UNESCO World Heritage site. Today I'll let you know about some must-see attractions. When time permits, I think there’s an untold beauty in wandering without tangible objectives, just taking in the city streets, and the sights and smells of a new town. 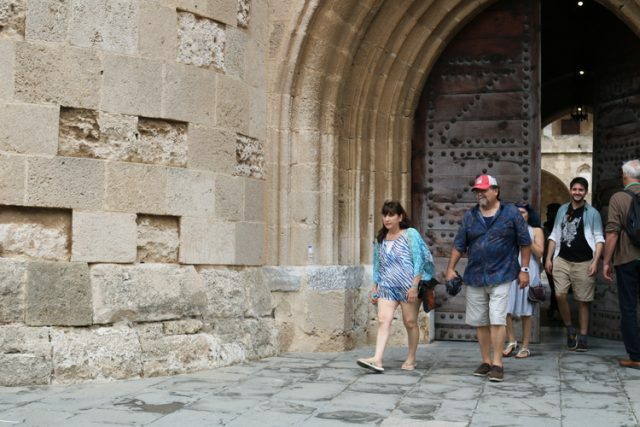 That being said, we knew there was too much history to explore without a tour guide, and so much that would go unknown if we didn’t have someone to impart some local history during our time on the island. 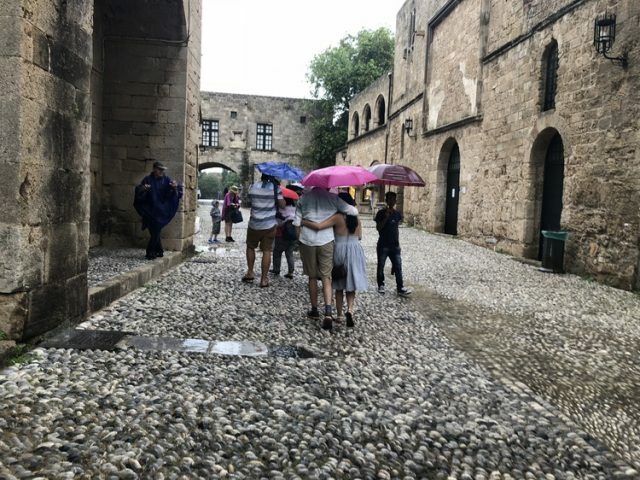 We reached out to local operator Tourtlee to explore the Old Town of Rhodes with a resident guide on a small group tour (the six of us plus one other visitor). First stop: Mandraki Harbour, which lore claims was once site of the Colossus of Rhodes. Generally speaking, I like to have a bit of a primer on a location before visiting but Greece can be tough if you’re trying to get specific. Between the birth of democracy, the foundations of currency, the emergence of the arts, the basis of modern medicine, and the layered mythology that has its roots here, there’s a lot to understand to really grasp the depth of the country’s evolution and the importance of Greece in the global landscape. Add to that the fact that we discuss Greece as a single entity, but in reality Greece is spread across a vast swath of land and sea where cultural influences and histories vary depending on the location. Rhodes, in particular, has an interesting setting in the southeastern Aegean just off the coast of Turkey. About an hour’s ferry ride to cross from Rhodes to the Turkish port town of Marmaris, it’s no wonder that the Dodecanese islands bear an Ottoman influence. 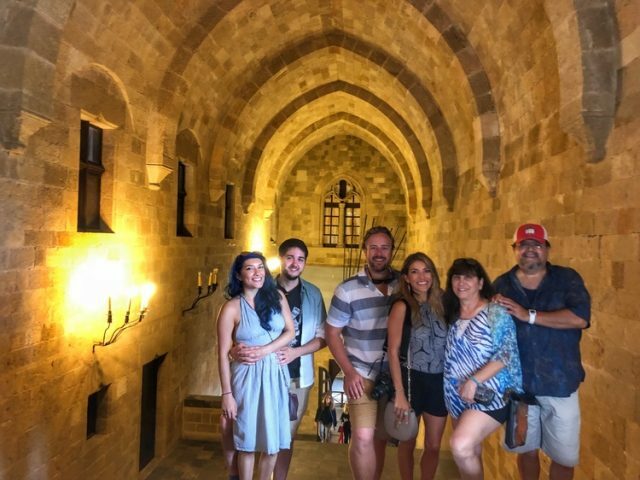 The first stop with our tour guide was the Archaeological Museum of Rhodes housed in the former hospital of the Knights of St. John. 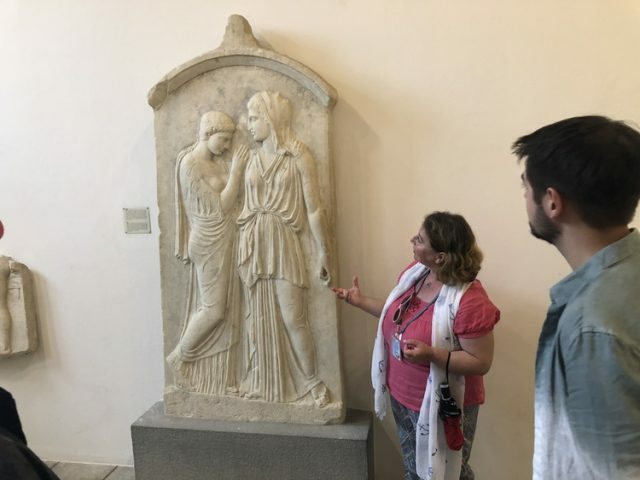 A visit to this museum is a must; it’s one of the island’s most important historical sights and it houses authentic pieces of Rhodian history. The former hospital ward, now part of the Archaeological Museum. I find this to be true with many well-crafted museums: They can be a bit daunting. Where do you start? There’s always so much to absorb that part way through you end up just kind of walking, glancing and skimming unless you’re particularly fascinated with a place. Having a guide helped us better understand what we were seeing, especially since the museum housing is historic in and of itself. We walked through what once was the hospital ward, plus another room that was presumed to be the dining hall. All of these have been converted to house artifacts found in the region, some dating back millennia. 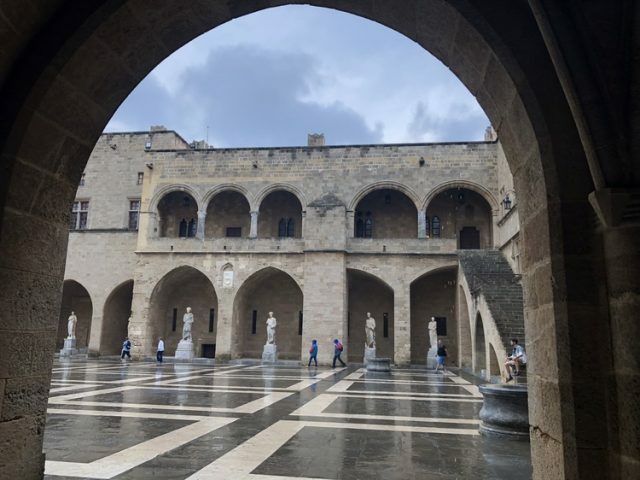 The Palace of the Grand Master of the Knight of Rhodes is a domineering site from the outset but our guide confessed that she was more enamored with the Archaeological Museum since it housed more authentic pieces from ancient Greece. The Palace, the castle structure that dominates the Old Town scene, is actually a reconstruction of the original. The spot where the palace sits is where historians believe that the Colossus of Rhodes actually stood once upon a time. Most of us envision the Colossus standing over Mandraki Harbour, and to be fair we believe this because maps literally show it there and we discuss it as if it's a fact. 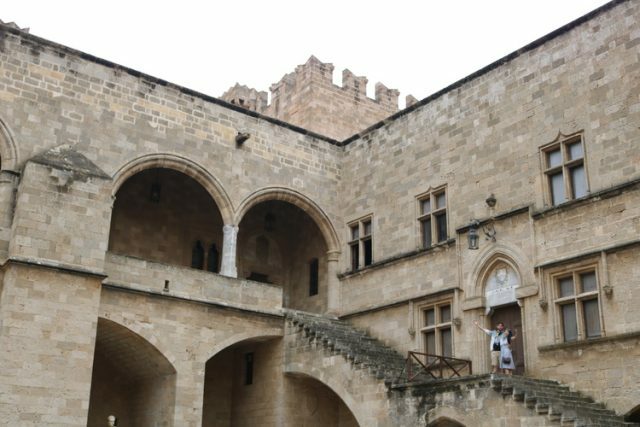 In actuality, many historians believe that it stood near the entrance of the Palace of the Grand Master of the Knights of Rhodes. The palace was originally built in the 7th century but an explosion in the mid-1800s destroyed most of the original construction. 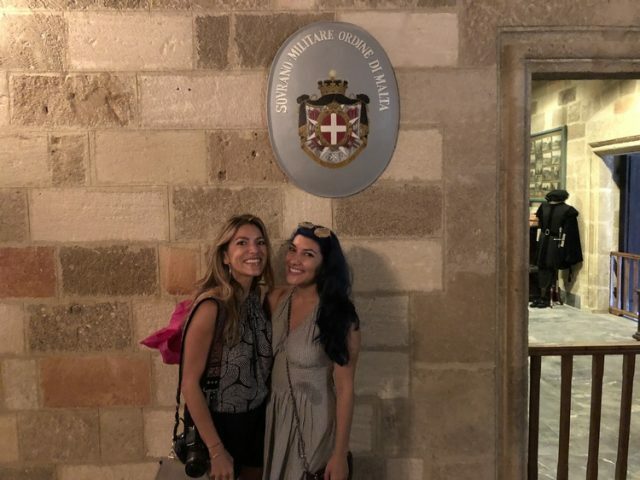 The rebuilt structure was built as a palace for Mussolini (you’ll see fascist symbols throughout the palace today) during the time when Rhodes was under Italian rule. The palace we know today is now a museum with a grand courtyard and impressive rooms with hand painted walls and mosaic flooring. If you’re planning on entering the Palace of the Grand Masters and the Archaeological Museum, then you’re best off buying a multi-site combination pass for €10 (a bit over $11 US). 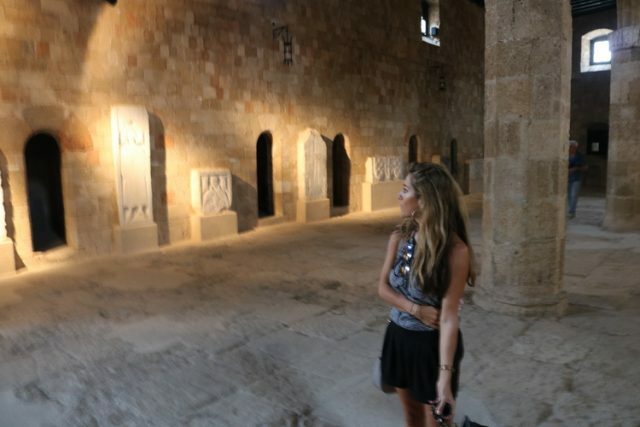 The pass includes access to both of these sites along with the Byzantine Art Museum and a few smaller sites. Our tour was a walking tour, which is best suited for an Old Town focus as the core of the Old Town is geared to pedestrians. Being based close by, we were able to easily walk to our meeting point to start our day. If you’re situated a bit further afield, Tourtlee offers transfers to get you to the tour’s starting point to make things seamless. 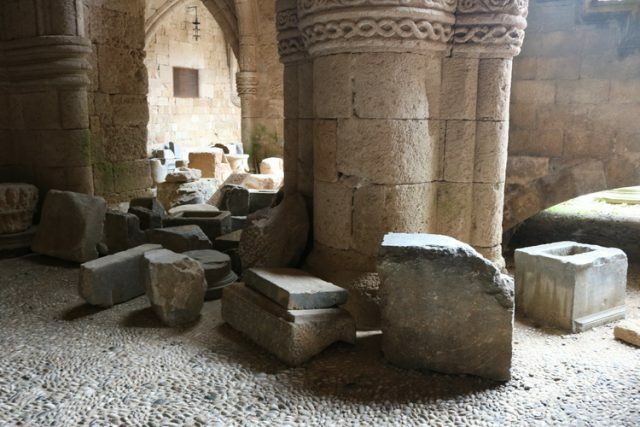 Whether you opt for a guided tour or a self-guided version, these two sites are absolute musts if you’re visiting Rhodes as they house incredible mementos of the island’s history. Have you been to Rhodes? Leave your suggestions and highlights for the island below! This article originally appeared at the Wanderlust Effect. All photos by Shannon Kircher. Shannon Kircher is the Chief Curator at Cruiseable, hotel marketer and travel blogger based on the Caribbean island of Anguilla.